About – it's only a bruise. I started this blog to help facilitate conversation about multiple sclerosis between myself and my friends, after being diagnosed with RRMS in 2013. Disease makes people–myself included–uncomfortable. The internet can be a scary place, particularly during diagnosis and in the months following. There’s so much unknown and, at the same time, too much information out there. And so, my audience grew to include others with the disease. 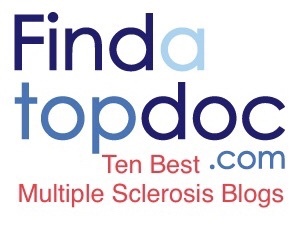 And then I expanded further and began also writing for the National Multiple Sclerosis Society’s blog (MS Connection) and later, Biogen’s online resource (Above MS). My writing has been featured in Momentum magazine and in Something On Our Minds: Anthology of Multiple Sclerosis Writings (Volume 4). I’ve written as a guest blogger for the Patient-Centered Outcomes Research Institute (PCORI), and I also have served on patient advisory boards, including IsolateMS. I am not a healthcare provider, nor do I have any medical experience or schooling. None of the information/advice shared is considered to be medical advice. Information shared here is for inspiration and/or informational purposes only. Please consult your physician or favorite medical professionals with any specific medical questions including treatment options, medications, dosages, and other medical concerns. None of my posts should not be considered a substitute for medical care. This is simply real talk from a real person who was diagnosed with MS at a young age, and I’m happy to share experiences, advice, and positivity with the newly (and long-time) diagnosed, as well as friends, family, curious types, and anyone who loves someone with MS.
Oh? And the name of this blog? It’s all explained here. This is my story. And it doesn’t end with MS.
Hello! My name is Stacie and I was just diagnosed with MS (yesterday) to be exact. I stumbled across your bloog since I have buried myself in MS information on the internet. I love your blog! I also live in milwaukee. I am 26 years old and a nurse at a local hospital. I am terribly scared of the unknowns but reading your blog is making it a little less scary. I appreciate that! My mom also has MS which was diagnosed at the age of 30. Crazy gentics and the lack of vitamin D huh? Luckily, she has a very mild form. I am scared for the future as they have found 9 lesions in the brain and 1 now in my spinal cord which was reactive to contrast on c7 showing active ms. Now I am starting to realize what it’s like to be a patient and not just the nurse. Let me tell you it’s a scary road! I am trying to take all the good days in with a positive attitude because it always could be worse. I would be a little cautious, however, with how deeply you dive into the internet so soon after a diagnosis. You know a little bit of what to expect because of your mom’s experience, but the web can be a very scary place and has the capability to bring you down quickly. If you’d like, you can subscribe to this blog via email and be notified every time I post something new and for the time in between, you can follow me on social media (Facebook, Twitter, Instagram, and YouTube—all @itsonlyabruise). How do you find a Medicare psychiatrist/therapist who is also sensitive to the complications of MS? Hi Rob! I’d try reaching out to the NMSS’s MS Navigators or to MS Lifelines for assistance with that. Just found you today, Cat. Thank you for doing this… I am four years post-diagnosis with PPMS and I work as a reporter at a major newspaper. Still haven’t felt comfortable with the idea of blogging about my own disease, even though close friends, co-workers and editors know I have it. God knows, I have had enough MS-ey days that required me to send a call or email letting them know I didn’t have the oomph to work today. So, thanks for acting as my proxy. I appreciate it. Hey James! Thanks for dropping a line—I’d love to hear more of your story. Keep in touch!